You may not know it yet, but you can be a super affiliate. It just takes the right steps to get there. We’ve put together this essential guide to help you along the way. First, we’ll break it down by telling you all about affiliate marketing. Then, we’ll get into the 10 steps that’ll help you become a super affiliate, plus a special bonus section. Let’s get you on your way to being a super affiliate now! By the end of this article, you’ll know what you need to be one of those rich affiliate marketers everyone is jealous of! At its core, affiliate marketing is getting paid to promote products. The key here is that – unlike traditional marketing – it’s not your own products that you’re promoting. Your marketing (possibly through an affiliate network) should result in sales. Then, you’ll earn a commission from each sale the company makes through you. This is a form of revenue sharing. It allows companies to get help selling their product while providing an incentive for affiliates to do so. Affiliates get to promote products they believe in without having to create a whole new product themselves. The creator or merchant, the affiliate, and the customer. An affiliate network may be considered a fourth party in the relationship. The merchant can be anything from a large corporation to a single person with a product to sell. An affiliate can be an individual or a whole company. This person might promote just one product or several products. It’s likely that those products will be related in some way, as they’ll be marketed to the same audience. If there’s an affiliate network involved, it actually plays the role of going between the affiliate and the merchant. The affiliate may choose to work with a network, or the merchant may require all affiliates to go through their affiliate network. A network can help affiliate marketing stay organized and running smoothly. And the customer is the most important factor in the equation. It’s ultimately about the numbers and customers drive the sales. Good affiliates know where to find the right customers and target them effectively. Affiliate marketing comes in forms like review blogs, social media posts, and guest posts. It’s the affiliate’s job to reach an audience that’s interested in the product. Affiliate marketing is desirable to folks wanting to make extra money from home since it’s a form of passive income. The idea is to make money even while you sleep! It takes the right approach to become a successful affiliate marketer. What about mobile affiliate marketing? Mobile Affiliate Marketing is one of the major kinds of performance-based marketing. The network aggregates offers and affiliates can pick from a remarkable array of offers. The network is also responsible for payments. The advertiser represents a certain brand or even a service, owning different kinds of offers. The user is someone who subscribes to an offer or performs a specific action that’s related to the offer. 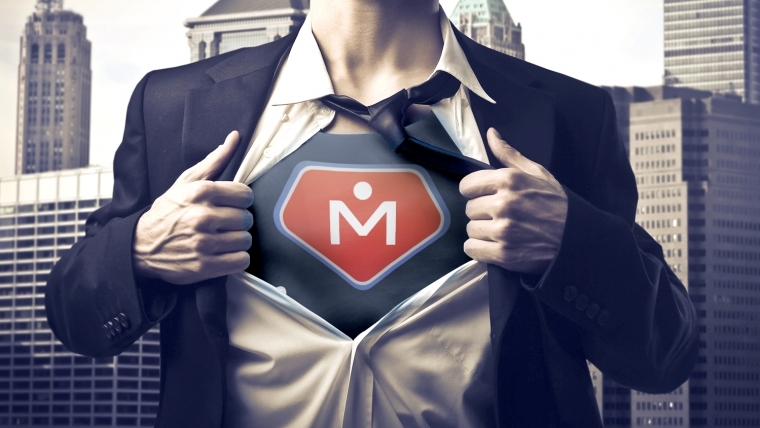 Ready for the definition of super affiliate? A Super Affiliate is a top affiliate who is at the acme of their game in the affiliate marketing industry and rises above and beyond other affiliates by having very profitable, successful affiliate marketing programs. They generate the biggest percentage of an affiliate program’s profits. These are the top earning affiliate marketers, indeed. A super affiliate’s worth is nearly immeasurable. This also gives them more power. They can demand higher commissions of super affiliate programs, or even custom rates, because merchants recognize their value. And if they decide a merchant isn’t giving them enough, they can easily walk away knowing another merchant will be glad to work with them. A wealthy affiliate is truly “living the dream” – making a significant living from their passive income. That income is a huge benefit, and so is the flexibility that comes from not needing to have a day job. CPA affiliate marketing is considered by many to be the best way to level up your sales and become a super affiliate. CPA works by paying an affiliate every single time someone clicks on an affiliate link and performs the desired action. The obvious desired action is making a purchase. It may be signing up for a free trial, signing up to get a quote or an estimate on a service, or joining an email list. CPA is an attractive form of affiliate marketing. It allows you to market without using banners or pop-up ads on your site. If you have a professional blog, for example, CPA lets you work the affiliate marketing seamlessly into your site. You’re probably wondering how to use this information. Maybe you’re new to affiliate marketing or just interested in the idea of passive income. Not everyone will become a super affiliate. It’s all about having the right approach. By having the right mentality, you’ll be sure to create a super affiliate marketing system that guarantees a whole lotta revenues! Here are 10 essential things you need to do! This is like a super affiliate formula you must drink! These steps will definitely put you on the path toward being an affiliate star! Yes, this sounds ironic, given that we’re talking about passive income here. But you need to be an active participant in working to become a great affiliate. It takes action – lots of it – to reach a point where you can sit back and watch income flow in. And even then, you still need to work to maintain what you’ve created. They work regularly on the task of building a stable affiliate income, and never lose sight of their goal. They also don’t get caught up in the prep work. They don’t waste more time than necessary on education or preparation. They learn what they need, and then they get into the action. These highly successful affiliates would rather jump right in and risk a couple failures than move forward too carefully. They see media buying mistakes as progress, learn from them, and keep moving on. Make sure to take the time to learn from those who’ve achieved what you want to achieve. Don’t try to do it by yourself, and steer clear of those who only provide negative perspectives. It doesn’t take a lot of time or resources to do this. If in-person network opportunities aren’t in your area, try finding books, webinars, podcasts, or DVDs from successful affiliates you admire. In case you want faster results, you can always consider ad spy tools so you can spy on successful campaigns and basically start copying them. Your affiliate goal shouldn’t be a financial afterthought. Consider what you’ll need to invest in to become a successful affiliate. You might need to buy new software, spend on marketing, or even outsource a few tasks. If you let those expenses become afterthoughts, you probably won’t follow through on them. Make a budget for your affiliate goals. Factor that into your day-to-day expenses. You might need to cut out a few luxuries at first, but know that it will pay off in the end. Marketing is a very creative industry, and affiliate marketing is no exception. You have to have the creativity and skills to stand out above the competition. Remember – everyone wants to be a wealthy affiliate. You have to prove that you’ve got what it takes. You might need to get creative with the way a review blog presents a product – after all, there are many review blogs out there. What makes yours the one consumers will gravitate towards? Maybe you’ll provide an unexpected angle or a clever, catchy way of presenting the information. You’ll also have to get creative in order to keep up with a changing industry. What works today might not work in a year or two. Flexibility and innovation are key creative components for becoming successful. You have to find enjoyment in what you’re doing – just like with any job. Otherwise, you won’t stick with it. Since it’s highly self-motivated work, being an affiliate requires even more enjoyment. If you haven’t found a way to have fun as you learn, you’re much more likely to give up. When you fail, don’t be discouraged. See it as an exciting opportunity to learn from your mistake. Get passionate about the learning process. Enjoy learning about the industry – get up to date on the latest affiliate marketing trends and technologies. Become fascinated with keeping up with the changes. Love learning a new technique or discovering a new concept. This is an opportunity to learn a lot. Seek knowledge from those who have succeeded before you, and be excited about it. Find your passion for the industry of affiliate marketing. This learning process becomes a lot easier if you choose to focus your efforts on one or two niches. But after a while, you should hit on the one or two niches that suit you best. If you’re too scattered, you’ll struggle to reach your desired affiliate status. When you’re always moving on to another niche, you never get to understand one fully, or see it through to its full earning potential. Of course, you don’t want to get too hyper-focused, either. Maybe you’ll discover that it makes sense to work within two or three related niches, rather than just one. But find an area of focus, and stick with it. On the subject of niches, not all of them are created equal. Some niches are too small and specific to have great earning potential. If you focus on an esoteric niche – imagine you’re selling to vintage board game enthusiasts – there might not be much competition. But there also won’t be much room for growth. Not that many people want to spend money on vintage board games! The bigger niches have bigger numbers, both in terms of money and competition. Yes, the health food niche is very competitive, but there are still countless people looking to spend money on a healthy lifestyle. Use tools such as your creativity to become competitive in a niche with potential for growth, and you’ll go much farther as an affiliate marketer. An email list is a great way to turn customers into repeat customers. A great website with an email capture function ensures you have a way to reach people who are interested in making repeat purchases. Build a mailing list and keep people hooked by offering incentives and interesting content. You benefit from a loyal clientele who’ll make repeat purchases and spread the word about this opportunity. You can’t just be a fair-weather affiliate if you want to be a great affiliate. You have to find ways to bring in money, even when it’s challenging. This means you can’t just step back when something starts working. Always be innovating and paying attention to trends. Launch new campaigns regularly, knowing that some will fail. Don’t get overly confident when you have one big success. The trick is turning that big success into ongoing success. This also means being realistic about your workdays. Allow yourself to work consistently by taking breaks, giving yourself a reasonable number of days off, and steering clear of burnout. This ability to manage your efforts is crucial when it comes to having the chops to be one of the best super affiliate marketers out there. Your mind and thoughts are one of the most powerful tools you have as an affiliate. The more negativity you focus on yourself, the more distracted you’ll become. Recall that your failures are just opportunities to learn. Many affiliates are willing to give up at the first signs of difficulty. But if you have a positive super affiliate mindset and know that the money is out there, you’ll find the way to tap into it. Don’t focus on the bad, focus on the potential for growth. You’ll reach your goals eventually – but only if you believe in your abilities. What’s the ultimate secret to becoming this kind of affiliate? Working with other wealthy affiliates. The truth is, there is power in numbers. This is a competitive industry, but it doesn’t need to be cutthroat. There are many ways affiliates can help each other succeed. If there is a mutually beneficial exchange – say, you promote someone’s product one month, and they promote your product the next – then everybody wins. Maybe you’ll write a guest post for another affiliate’s blog in exchange for one from them. Having another affiliate support you makes you look more credible to customers. And putting your name out there to another affiliate’s network opens you up to a whole new clientele. Find other affiliates in your niche that sell different but related products, and work together to maximize your success. Everyone will benefit from the results. You may even become one of the Top 10 super affiliates who make it rain like it’s insane! With this knowledge, you’re already well on your way to becoming the indispensable affiliate every company wants. Start your affiliate marketing education by checking other awesome Mobidea Academy articles! Don’t wait to start rising to the top of the affiliate marketing world and get those wicked super affiliate commissions coming your way. With the right information, anyone can succeed! Chapter 4: It’s All a Numbers Game…or Is It?